Kevin Moser, an imaging science student from Rochester, Minn., presented an algorithm on May 3 to NASA officials at Johnson Space Center. 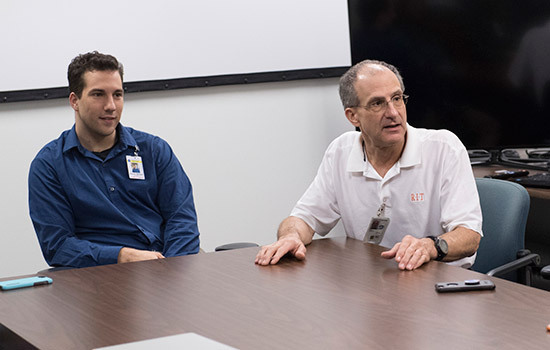 An informal collaboration among RIT students, alumni and professors culminated in a meeting last week at NASA’s Johnson Space Center in Houston. Kevin Moser, an imaging science student from Rochester, Minn., and RIT alumnus Peter A. Blacksberg ’75 (photography) made the trip south to meet with the heads of various NASA departments and present an algorithm that Moser spent the last year developing under the Center for Detectors at RIT. Moser’s work represents the culmination of research and development done by several student predecessors on the Cosmic Radiation Damage Image Repair (CRIDR) project. The algorithm he developed will remove the effects of bad pixels damaged by cosmic rays that penetrate detectors in the commercial cameras used to take photographs by astronauts on the International Space Station. It replaces values in the bad pixels with a statistical representative of values in surrounding pixels. Moser will present his work during the Center for Imaging Science senior project presentations on Friday, May 12. Blacksberg, who has a passion for both photography and space, bought a ticket to hear astronaut Don Pettit speak in New York City in 2014. During the lecture, Pettit pointed out spurious pixel values in certain images that he said were the result of damage caused by high-energy particles that cause detectors in cameras to deteriorate when exposed to the harsh radiation environment in space. Blacksberg recognized this as a problem that needed a solution and knew that RIT was the place to find it. In April 2015, Blacksberg arranged for Pettit to visit campus to present his work to the RIT community. 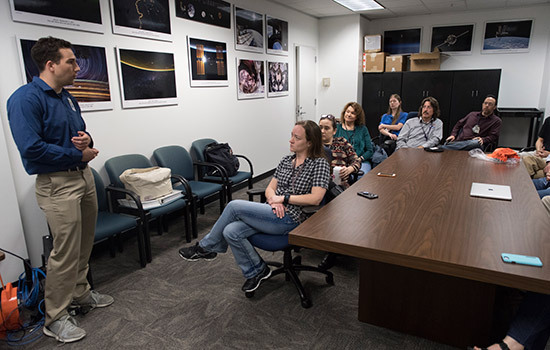 It was during this visit that Pettit met with a handful of RIT professors and student researchers to discuss ways to reduce the damage to photographs caused by cosmic rays in space. Don Figer, director of the Center for Detectors, was part of the meeting. While damaged images could be opened in Photoshop and touched up individually, this process is unfeasible for NASA, where images come in at a rate of 10,000 to 50,000 per week. The algorithm developed by Moser and others at RIT provides a post-processing fix to the problem. “Kevin’s algorithm isn’t finding the real information and putting it back in the pixel, rather it’s finding the bad pixel and then replacing the signal in that pixel with an average of the surrounding pixels,” Figer said. Although the algorithm does produce some false positives and false negatives, it marks a big step forward in the efforts to find a long-term solution. Pettit said that he is excited to see the results of the continued efforts in the future. 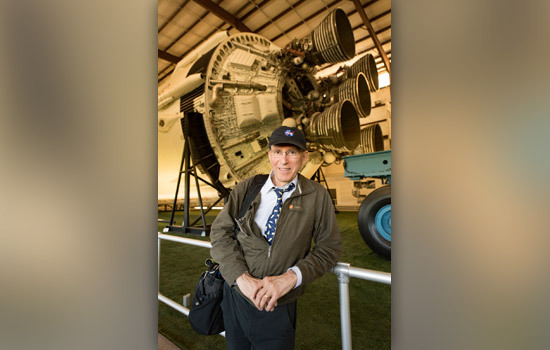 Peter A. Blacksberg ’75 (photography) arranged the meeting with NASA officials.